On January 27, I completed the 2019 Fitbit Miami Marathon. It was my first marathon of the year and fourth overall. All in all, it was a well-organized event and a great tour of the city. 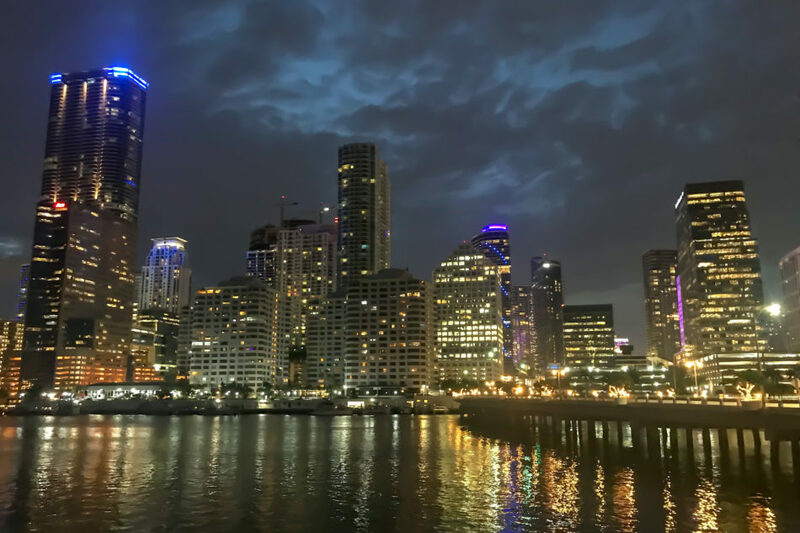 The course started in downtown Miami on Biscayne Boulevard in front of American Airlines Arena and ended nearby at Bayfront Park. 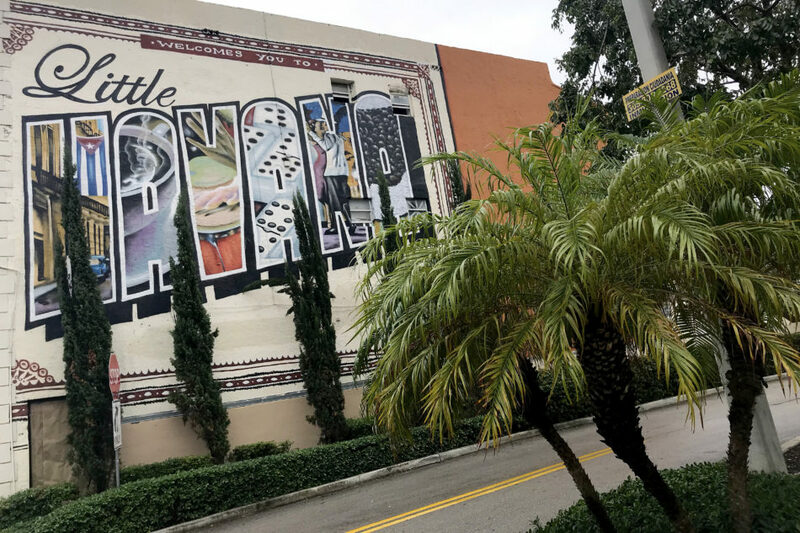 In between, runners toured various parts of the city, including Miami Beach, downtown Miami, Key Biscayne, Brickell, and Coconut Grove. While the course was pleasant, the weather was not. It was 72 degrees and 91 percent humidity with winds from the southeast at 9 miles an hour at the start of the race! The wind and humidity certainly impacted runners, myself included. However, despite this, I managed to accomplish a personal best time. I attribute much of my success to using the Hanson’s Marathon Method for training. According to this training plan, no one workout is more important than another. The longest run in the 18-week plan is 16 miles. However, the training schedule is more focused on cumulative fatigue. This means lots of mileage and not many days of rest. It’s an investment of time and the program is both physically and mentally challenging. While I certainly missed some workouts, I managed the load fairly well. It helped that I was able to conduct many of my workouts while working in the warmer southern states such as Texas. In hindsight, I should have run my easy workouts slower and my speed and strength workouts faster. Though, no complaints here. The fact that I maintained my training with a hectic work schedule taking my across the country is enough to celebrate. One of the great advantageous of running Miami is the abundance of cultural activities and things to experience. D and I ate well at Zuma (Japanese), La Mar (Peruvian), La Carreta and Azucar Ice Cream in Little Havana (both Cuban), and a great pre-race Italian dinner at Soya E Pomodoro. We enjoyed visits to the Perez Art Museum Miami, Vizcaya Museum and Gardens, and the vibrant Wynwood arts district. There so much to do and see in this city. We’re both eager to return for another visit soon. 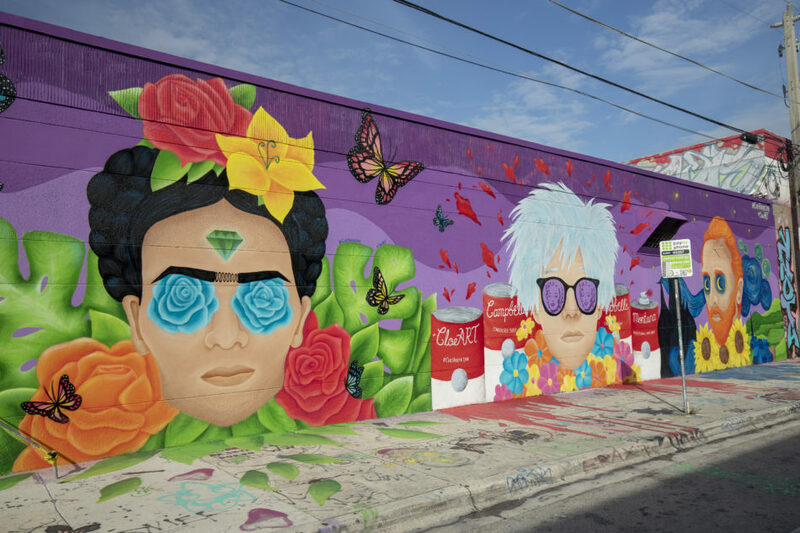 Mural of Kahlo, Warhol and Van Gogh in Miami’s Wynwood arts district. 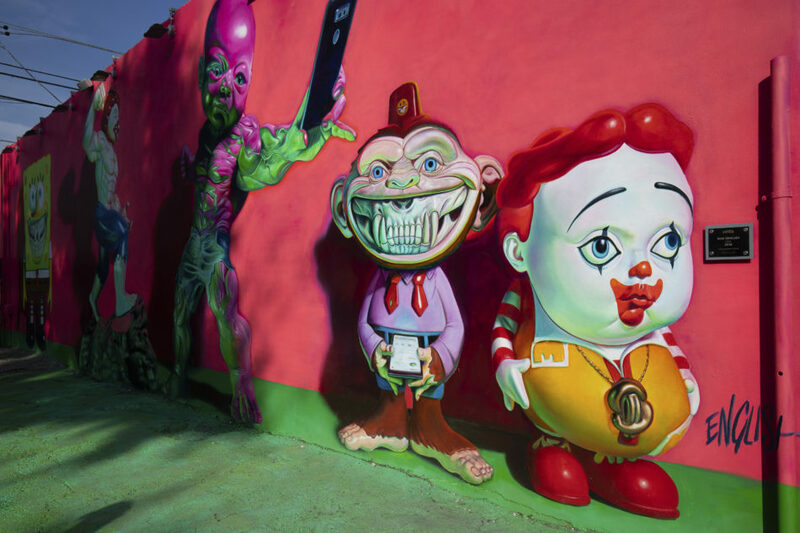 A Ron English mural at Wynwood Walls. Miami at night, seen from Biscayne Key. 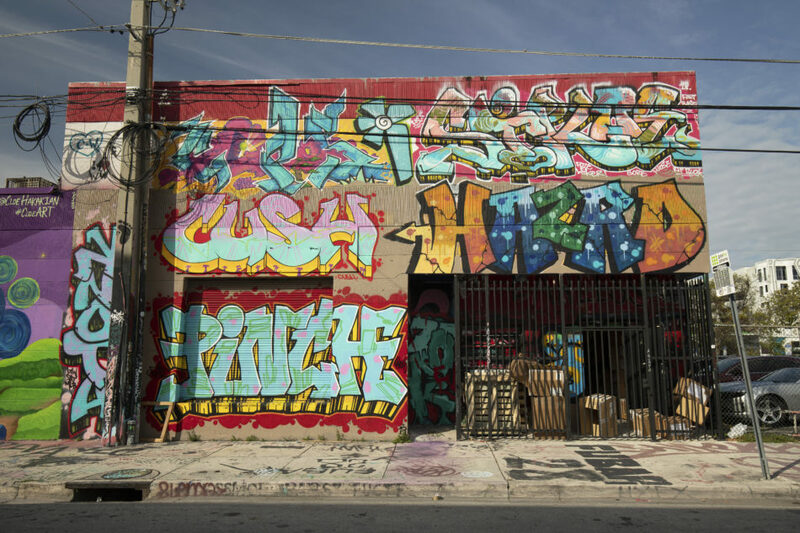 A streetscape view of Wynwood. Currently, I’m training for my next marathon, which will be the Kentucky Derby Marathon. Once again I’ll be using the Hanson’s Method and I hope to best my current marathon time. I’m looking forward to exploring this great city and enjoying some bourbon! This will be my fifth marathon in as many states, which is part of my goal of running one in all 50 states. Lots of running ahead!